I hope you, your family, and your friends are safe. While I can't speak for our other members my sense is that the majority of them feel as Kathy and I do. We are saddened by the recent events and hopeful that something can be done to prevent future occurrences. I know that some of our members attempted to post condolences on our piano forums, but unfortunately these things have a bad habit of dissolving into arguments. For that reason we are asking people not to create posts of this type. This is the story of how I came to gift my sister a baby grand piano. People often ask me how I got interested in playing the piano. I grew up watching and listening to my dad and my sister play the piano. I wanted to be able to do that too. You Did What to the Family Piano? At about eleven years old (circa 1962) I took our old upright piano apart to see what made it tick. My father was less than pleased, he essentially said "fix it". It took me a long time to get it back to ticking again, my introduction to becoming a piano tech? My sister is twelve years older, by the time I was about ten or eleven she had moved out on her own. Life got in the way, her piano playing took a back seat to raising a family. For a short time she had an old upright piano (I think I helped her get it), but that got left behind in a move way back when. So for many years she had no piano at all. when my sister turned 70 (that can't be, that would make me, oh never mind). I decided to surprise her with a digital piano, one with 88 notes and a weighted action. 21 MILLION Page Views in One Month - and Why You Should Care! If you are one of our forums members, or a visitor/guest the numbers are an indicator of how popular our web site is. But, if you are a professional in the piano business, the numbers should impress upon you the importance of having a presence on Piano World. We can help you reach an audience you might never reach otherwise. And we can provide you with a full year of advertising for a price that's less than a small one time ad in a newspaper! Please visit our Advertising Page for more details, or feel free to contact me directly. Player Piano Premier provides music for nearly all modern player piano systems, including in Floppy, CD and MP3. Brahms to Bruno Mars. Let our pianists play your Christmas party, available for order now. For PianoDisc, Disklavier, QRS, digital pianos and more. Piano Parties! We love piano parties! If you are planning to hold one, please let us know. Piano parties are a great way to share your love of playing (and listening) and an opportunity to get non-players interested. The EPP 2016 planning is progressing nicely! 2016 is going to be in ... insert drum roll .... Milan, Italy! Kathy and I really hope to join this one. (Full Disclosure: I am the (volunteer) president of the Saco River Festival Association, the non-profit organization hosting this concert). The 6th Piano Bridges International Competition for Amateur Pianists will be held in St. Petersburg, Russia, from July 4-9, 2016. We welcome amateur pianists aged 17 and above from all countries, people of various occupations for whom piano playing is a serious hobby, but not a professional activity. Professional pianists as well as piano teachers and students of professional music colleges and conservatories (piano specialization) are not allowed to take part in the competition. 1st category - amateur pianists who received a diploma of secondary or higher musical education but haven't been involved in music activities as professional pianists for at least 3 years. 2nd category - amateur pianists with no professional piano education. Selected PianoArtists receive: Concert engagements plus PianoArts fellowships with advanced training on "Building Audiences and Programs." Presenting a challenging competition that prepares PianoArtists to build careers through rehearsals and conversations with professional musicians, performances, and seminars that include topics such as developing programs for diverse audiences. A couple from Plymouth, Indiana spotted these pipes headed for a burn pile. This is an ongoing project to collect listings of places where you can still hear live piano music, and places where you can (maybe) play the piano. We're talking about restaurants, bars, hotels, airports, etc. Help us grow the list. The goal is to eventually organize it by location (anyone want to help?). I'm adding updated pictures of my own piano room today, they should show up on page 29 of this thread. Will you still be playing piano when you're 90? I started this thread a while ago, it's fun to see what people answer. I particularly like the posts that cite people who are/were still playing at 90 and older. Speaking of playing, here is a Free Christmas arrangement of What Child is This (aka Greensleeves) from our friends at Piano Price Point. What Child is This? There is a Big Piano in a workshop in Ardmore but it's not just any big piano, its one that an estimated 10 million people have stepped across while it sat for 30 years inside the F.A.O. Schwartz flagship store in New York City. Earlier this year, the F.A.O. Schwartz store in New York was closed by its parent company Toys R Us. 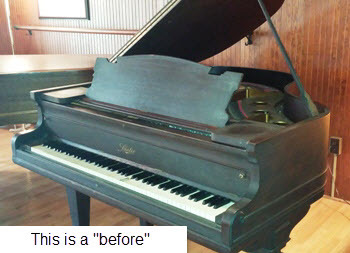 As a result the piano that had been on loan to the store was returned to the man who designed it and its owner, Lower Merion resident Remo Saraceni. It started with a purchase made on a mere whim. Michael Hannon's mother Hilda bought a musical instrument listed as a "spinet" at an auction in Ballycastle, Northern Ireland, where his parents lived in retirement. 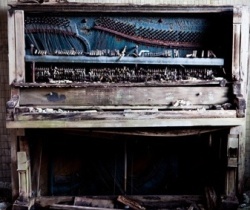 Although the instrument was in poor condition, it was structurally sound, and Hilda later passed it on to Michael to see if he could restore it. The instrument, dated 1804, turned out to be a Broadwood, the sort of "square piano" played by Mozart, Beethoven, Chopin, various Jane Austen heroines and Captain Scott, who took one to the Antarctic with him. Nearly 40 years on since his mother bought the item, Michael has written a book detailing the dramatic story linked to the family which originally owned the piano. Do you know of a particularly good thread you think others would enjoy? Send me an email with a link to the thread (webmaster@pianoworld.com) or send it from within the thread itself. I'll take a look and consider listing it in a future newsletter. And if you find one that would make a really good addition to one of our FAQ areas, please let me know that too. PLEASE UPLOAD YOUR PICTURES TO OUR SERVERS! Please understand that we much prefer you upload a copy of your pictures to our servers using this gallery feature, or our older uploader, rather than just linking to them hosted elsewhere. We constantly find that pictures linked from one of the free services on the web inevitably end up with broken links. Our picture gallery tool automatically creates three size pictures. Thumb, Medium (best for display in a forum thread) and Full (full original size of the image you uploaded). We are often asked how to post pictures in the forums. There is a Picture Gallery Forum specifically here to make this easier. 1.) Upload your pictures to the gallery 2.) Copy and paste the url for each picture where you want them in your post (each picture will have the correct syntax for embedding the picture in your thread). And finally, if you still aren't sure how to upload your pictures, contact me and I'll help. The 2016 NAMM show is fast approaching! NAMM is an organization of music industry professionals from around the world. I will be arriving at the show Thursday January 21, leaving Monday January 25, staying at the Anahiem Hilton. If you are a Piano Manufacturer, Dealer, Tuner, etc. and not already advertising on Piano World, we should meet and discuss. Please email me frank@pianoworld.com or give me a call. I's also be happy to meet up with any of our forums members and guests who would like to say hi. Are You Taking Care of Your Piano? Did you know your piano should be tuned at least twice a year? As a piano tuner I sometimes receive calls from customers who tell me they aren't sure if their piano actually needs to be tuned. Let's think about this. Have you ever watched a violinist in an orchestra? They often tune up before every piece, and they only have four strings to contend with. The average piano has about 235 strings! And how do you make music on a piano? By whacking those strings with felt wrapped devices called hammers! Yes, your piano needs to be tuned. And it isn't just playing that knocks your piano out of tune, changes in temperature and humidity cause all those wood components of your piano to swell and shrink, helping to stretch and shrink the string lengths, contributing to driving the piano out of tune. Please visit our store today. A few of the many new items we've added to our online store. If you haven't checked it out yet, now would be a good time! Don't Forget to Visit our Online Store www.PianoSupplies.com ! 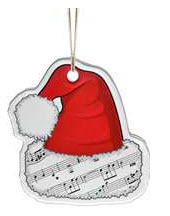 Lots of great items for music lovers, pianist, music teachers, piano tuners, and so much more! 81,000+ Forums Members, Over 2.4 Million Posts, and always growing!